NEED A SPECIAL OR CUSTOM REPORT? We can create reports for nearly any town/city, state or country as well as for specific sectors. If there is something we could help you with, please contact us by clicking the button below. The annual global report for rewards crowdfunding in 2016. In 2016, we saw crowdfunding successfully raise around $796M worldwide, which is almost the same as 2015 where $836.4M was raised. In total there were over 128.1K crowdfund projects started during the period and, of the campaigns which ended and reached their goal, each raised $30.9K on average. 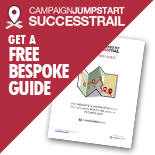 •	The top countries, categories and platforms plus most popular and most funded campaigns tracked – including easy click-through so you can see how it was achieved. The annual global report for rewards crowdfunding in the United States throughout 2016. In 2016, we saw crowdfunding in the United States successfully raise around $543.3M while $796M was raised worldwide. In total there were over 65.8K crowdfund projects started in the United States during the period and, of the campaigns which ended and reached their goal, each raised $33.9K on average. The annual global report for rewards crowdfunding in the United Kingdom throughout 2016. In 2016, we saw crowdfunding in the United Kingdom successfully raise around £52.4M while £649M was raised worldwide. In total there were over 17.4K crowdfund projects started in the United Kingdom during the period and, of the campaigns which ended and reached their goal, each raised £13K on average. The annual global report for rewards crowdfunding in Canada throughout 2016. In 2016, we saw crowdfunding in Canada successfully raise around $36.6M while $796M was raised worldwide. In total there were over 6.2K crowdfund projects started in Canada during the period and, of the campaigns which ended and reached their goal, each raised $28.3K on average. The annual global report for rewards crowdfunding in Australia throughout 2016. The annual global report for rewards crowdfunding in France throughout 2016. The annual global report for rewards crowdfunding in Germany throughout 2016. The annual global report for rewards crowdfunding in Spain throughout 2016. The annual global report for rewards crowdfunding in Italy throughout 2016. The annual global report for rewards crowdfunding in the Netherlands throughout 2016. The annual global report for rewards crowdfunding in Sweden throughout 2016. The annual global report for rewards crowdfunding in Art throughout 2016. The annual global report for rewards crowdfunding in Community throughout 2016. The annual global report for rewards crowdfunding in Design throughout 2016. The annual global report for rewards crowdfunding in Fashion throughout 2016. The annual global report for rewards crowdfunding in Film throughout 2016. The annual global report for rewards crowdfunding in Music throughout 2016. The annual global report for rewards crowdfunding in Technology throughout 2016. The annual global report for rewards crowdfunding in Theatre throughout 2016. The annual global report for rewards crowdfunding in Publishing throughout 2016. The annual global report for rewards crowdfunding in Gaming throughout 2016. The annual global infographic report for seed crowdfunding in 2016. The annual global report for rewards crowdfunding in 2015. In 2015, we saw crowdfunding successfully raise around $834.5M worldwide, this is an increase on 2014. In total there were over 153.4K crowdfund projects started during the period and, of the campaigns which ended and reached their goal, each raised $25.4K on average. The annual global infographic report for rewards crowdfunding in 2014-2015. The annual global report for rewards crowdfunding in the United States throughout 2015. In 2015, we saw crowdfunding in the United States successfully raise around $590.5M while $834.5M was raised worldwide. In total there were over 88.9K crowdfund projects started in the USA during the period and, of the campaigns which ended and reached their goal, each raised $27.5K on average. The annual global report for rewards crowdfunding in the United Kingdom throughout 2015. In 2015, we saw crowdfunding in the United Kingdom successfully raise around $69.8M while $834.5M was raised worldwide. In total there were over 18K crowdfund projects started in the UKduring the period and, of the campaigns which ended reached their goal, each raised $15.6K on average. The annual global report for rewards crowdfunding in Canada throughout 2015. In 2015, we saw crowdfunding in Canada successfully raise around $30.4M while $834.5M was raised worldwide. In total there were over 8.6K crowdfund projects started in Canada during the period and, of the campaigns which ended reached their goal, each raised $15.1K on average. The annual global report for rewards crowdfunding in Germany throughout 2015. In 2015, we saw crowdfunding in Germany successfully raise around $11M while $834.5M was raised worldwide. In total there were over 2.5K crowdfund projects started in Germany during the period and, of the campaigns which ended reached their goal, each raised $29K on average. The annual global report for rewards crowdfunding in Australia throughout 2015. In 2015, we saw crowdfunding in Australia successfully raise around $20.1M while $834.5M was raised worldwide. In total there were over 2.6K crowdfund projects started in Australia during the period and, of the campaigns which ended reached their goal, each raised $42K on average. "What this new data is telling us is that rewards crowdfunding's growth is sustained and at high enough level to be making a significant impact on the mainstream economy - and especially entrepreneurship and innovation. Seed-funding has always been an important but difficult, and so under-served, market. Feeding as it does 'upstream' investment. ...It looks very much as if rewards crowdfunding is now providing a real alternative." "Countries seriously interested in promoting entrepreneurship, innovation and jobs need to be looking at this data... This represents serious capital injected into an economy that will have a lasting impact." "The data makes it clear that crowdfunding is providing seed and growth funding across a wide reach of industries and geographies, and shows no signs of relenting. And points clearly toward crowdfunding as the new must have skill for emerging entrepreneurs." "Developing a data model to understand the market trends and drivers is a crucial step in the maturation of the industry. This initiative goes above and beyond with its global coverage." "Given the fact that I monitor the industry so closely I must say there were still several surprises for me here. This work is vital if users are to maximize their efforts." "It is exciting to see the huge progress crowdfunding has made in just a few short years."